Marie Batey has brought up a family whilst also occupying her time cultivating an allotment to provide vegetables and free-range eggs. She also builds kennels for her racing greyhounds. In later years, for her leisure, she was on the committee of the local working men's club, which was one of the first clubs in the north east to accept women on the committee. Playing darts for the local league was one of her happiest times. Marie is seventy-nine years of age and lives with her husband of fifty-nine years. Having raised a family, they are now in their twilight years. It is with her husband's help that Marie completed The Life of a Greyhound Called Katy. Life as a greyhound isn't always easy: having your injections at the age of six weeks; beginning your training for the race courses, mating with a complete stranger, and then parting with your pups. Perhaps worst of all is the possibility of getting injured at the race-track. But, it can also be filled with joy: when you can run free in the field; when you have a litter of adorable pups; when you win your first trophy at the races, and when you know that you have found your true home with people who love and care for you. 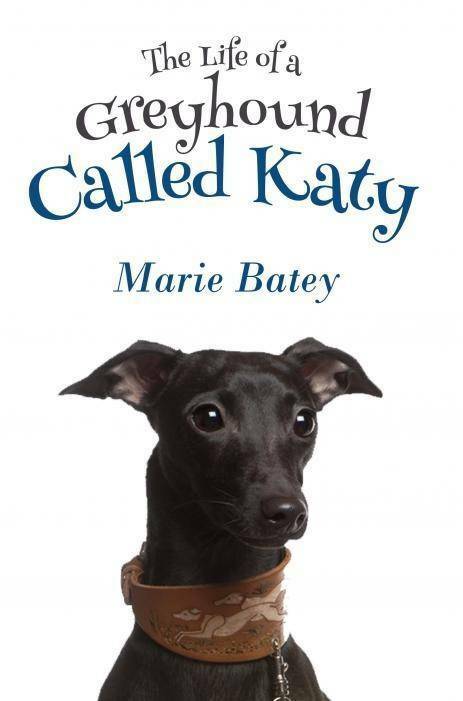 This is the story of Katy the greyhound – a kind of ‘canine memoirs' as ‘told' by Katy herself. Heart-warming, funny and occasionally tinged with sadness, it tells of the life and loves of canine – or rather greyhound – life.